If there is a winery distinguished by innovation and research, that winery is Bodegas Hnos. Pérez Pascuas S.L., Viña Pedrosa winemakers. 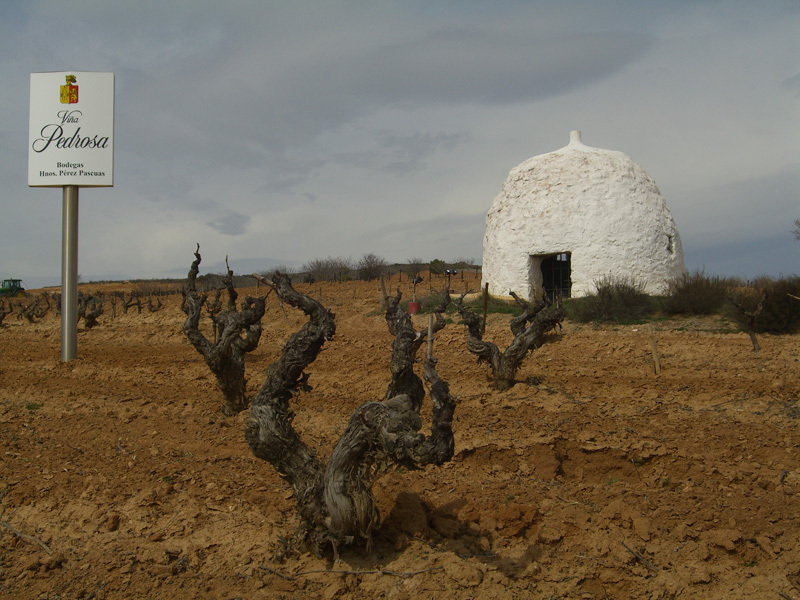 This family wine cellar was a pioneer in Ribera del Duero, in less than 30 years Bodegas Hnos. Pérez Pascuas has placed their wines at the top, reaching the most demanding international markets. At present Bodegas Hnos. Pérez Pascuas exports 45% to over than 35 countries. 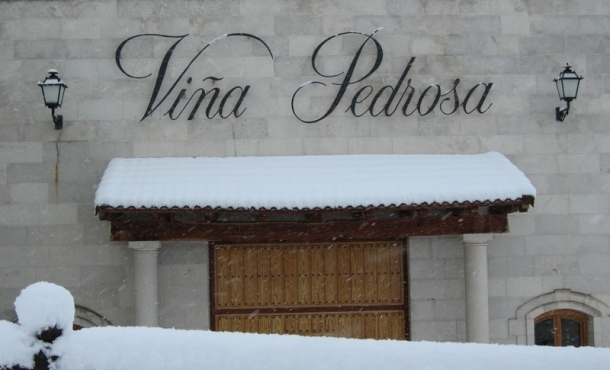 Since 1980, Viña Pedrosa has always showed its spirit to excel itself, doing research on farming and winemaking techniques, always getting top positions. Just working with its own grapes from the family vineyard, Bodegas Hnos. Pérez Pascuas makes unique, elegant, fresh and full of character wines. 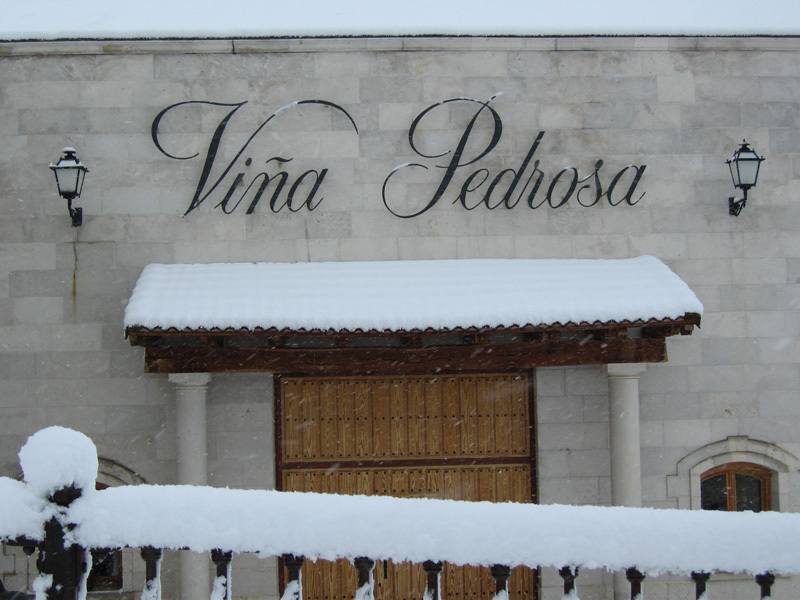 The balance of Viña Pedrosa wines is one of the secrets for excellent bottle ageing. Jose Manuel Pérez, the technical director of Bodegas Hnos. Pérez Pascuas, runs every single project, all of them very positive and rewarding, reaching very valuable conclusions to get the excellence. 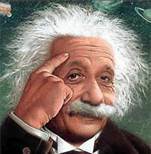 Science and knowledge are two of the most important factors to get the maximum potential from the grapes. Many projects on farming have been developed over the last years, It should be pointed out that an experimental vineyard was planted with a total number of 18 different variables where we can compare the aptitude of three different grape varieties, with three different overgrafts using two different growing systems. “ On this experimental parcel, Tempranillo grape variety is the main grape, the plot is located at 844 metres, soil and climate are very special”. On other ambitious research project on farming we checked the difference between the quality of the grapes and the age of the vineplants. We worked with very old vines, middle age vines and young vines, all of them planted on the same place ( same conditions ). We reached very clear conclusions: the eldest vines produce the very best quality grapes, and these ones are used to make outstanding Viña Pedrosa wines to be at top places in many different markets all over the world. Bodegas Hnos. Pérez Pascuas is not unaware of global warming. José Manuel Pérez prefers to be prudent and talk about climatic cycle.” We are very sensitive with all around us. We cannot keep under control the nature, but if we know the variables we can give a better answer and make the best decisions about the location of the vineyard, how to manage it, farming techniques to carry out, production and the perfect moment for picking. The more information you have, the better you can face unexpected events and adversity” states Jose Manuel Pérez. We can say that farming projects are ambitious and conclusive, and the same for research project on winemaking techniques. One of the most exciting projects is related to local yeast selected from the family vineyard. 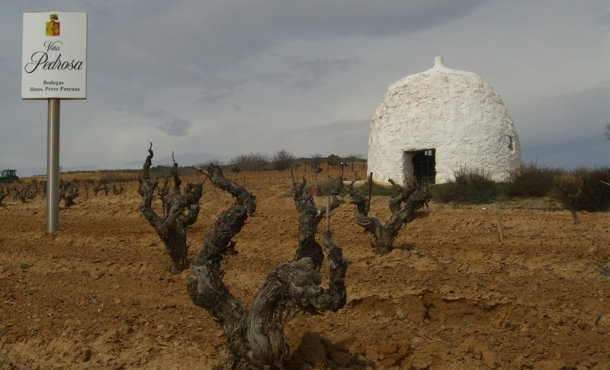 The authentic clon of Tinto Fino from the very old grapevines planted by Mauro Pérez González was the base to establish a link between own yeast from the family estate, and genuine and unique wines. Other of the big projects on winemaking techniques was the influence of the oxygen on the grapejuice during the alcoholic fermentation, getting concluding results. Bodegas Hnos. Pérez Pascuas – Viña Pedrosa does not stop doing research. Over the last three years many new projets are underway. For example, one of these projects is to find the best technique to get colour extraction during the winemaking process and the colour stabilization during the barrel and bottle ageing. And one of the most challenging project is the research on the prevention of top quality red wines from contamination and the influence of ozone as a way to disinfect both barrels and winery building. According to José Manuel’s opinion, science and the improvement of winemaking techniques can be employed on top quality wine in combination with traditional values. Tradition and modernity can be perfectly compatible. Bodegas Hnos. Pérez Pascuas S.L. over the last five years has invested in research more than 750.000 euros. “ You have to employ lots of economic and human resources to progress” states José Manuel. 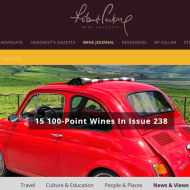 “There are many pages to write on the book of Bodegas Hnos. Pérez Pascuas” He states.